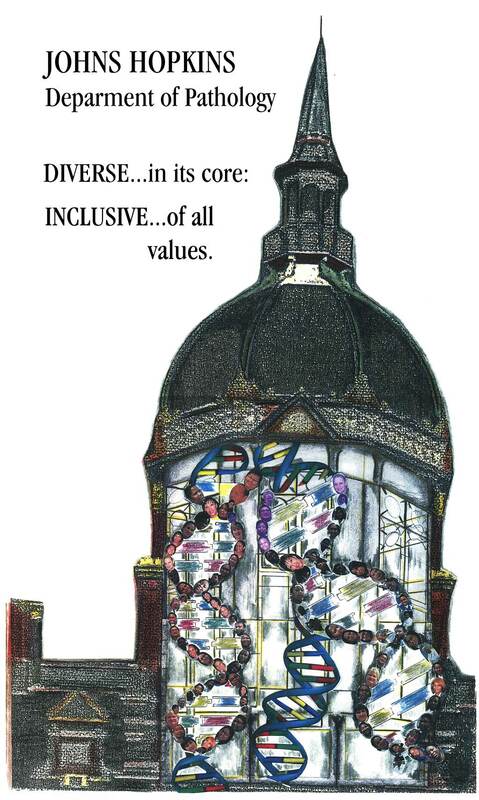 "Diverse in its Core, Inclusive of all Values"
To be included, click here. Our mission is to promote the values of diversity for each employee within the Department of Pathology at JHMI and to facilitate commitments to these values in our interactions with individuals and within groups. Through planned initiatives, we intend to build awareness of the importance of recognizing how understanding similarities and differences among individuals and groups will allow each of us to establish common ground for future development of our personal and professional relationships. Education concern based on respect between individuals and between various groups is an essential element in the creation of satisfying and productive relationships. **If you have a staff member that may be interested in participating with the committee on activities, please contact one of the members below or write to PathStaffDiversity@jhmi.edu.